The Emularity, which is the name for the emulation loader framework that the Internet Archive uses, has gotten a notable upgrade in sound performance. While hanging around in the IRC channel, a relative newcomer, Grant Galitz/Taisel, mentioned doing lots of optimization work with sound on his own project, IodineGBA. I asked him to take a quick look at how JSMESS/Emularity did sound loading, and he suggested a few quick optimizations. All JSMESS-emulated operating systems on the Archive are now “better”. Better is, of course, relative. If your system is slow, we made it slightly better. If your system was fast, then little crackles are now gone. You’re probably somewhere in between. 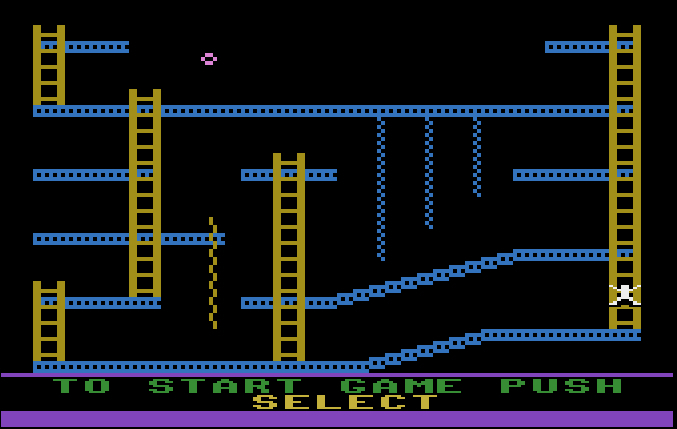 Here’s one to test with: Jumpman, a truly amazing classic released by Epyx. Works best on Firefox. Likes heavy hardware capabilities. Is better than yesterday, worse than tomorrow. What was nice about this, particularly, is that we made one change to the loader code and suddenly 25,000 items just sounded “better”. That’s the kind of easy upgrade I like to see. Sound is a very big deal. When it’s not quite up to snuff, people really feel it deep. As time goes on, it’ll improve. Until then, try rediscovering some of the programs up on the Archive and see how much better the sound is. You said back in May – http://ascii.textfiles.com/archives/4630#comment-581117 – that some games in the 4am collection couldn’t be run in Emularity because it didn’t support disk swapping. Has that feature been added yet, and if so, has in-browser emulation for those games been activated?